(Newser) – Scientists studying a Stone Age site in Britain came across something that by all rights shouldn't have been there: wheat. More specifically, the researchers found the DNA of wheat dating back 8,000 years off the coast of the Isle of Wight, reports Reuters. That's about 2,000 years before ancient Brits began growing it, but scientists don't think this means that hunter-gatherers in the region were farming earlier than thought. 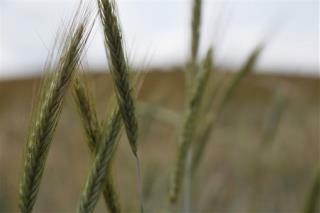 In fact, the lack of wheat pollen at the site suggests it wasn't cultivated there at all. Instead, the scientists say it shows that these old inhabitants were in contact with farmers elsewhere in Europe and participating in a heretofore unknown "international wheat trade," reports the BBC. The lack of wheat pollen at the site suggests that they didn't find any.